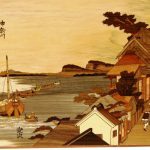 The Himitsu-Bako (Personal Secret Box) is a traditional Japanese puzzle box that was designed over 150 years ago in the Hakone region of Japan. The Hakone Mountains are noted for their great variety of trees. 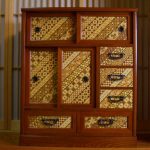 The Japanese puzzle box takes advantage of this wide variety of natural wood colors and textures to produce their elaborate geometric patterns. 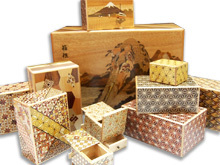 The appeal of the Japanese puzzle box is not merely in its entertainment qualities. 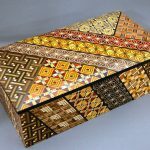 It is valued as a Yosegi-Zaiku is a mosaic woodwork usually applied to small handicrafts such as trays, boxes and chests. 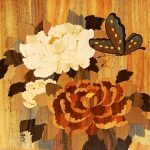 This marquetry technique is originated in the late Edo Period, and in May of 1984, was designated a National Traditional Handicraft by the International Trade & Industry Minister. 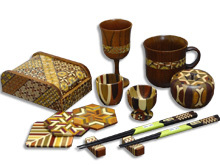 The geometric design is made by binding together various shades of wood. 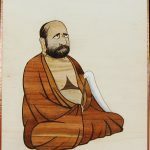 Shaved off with a special plane, very thin sheets of wood are then used as an outside finish for various objects such as boxes. 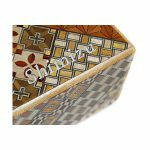 Himitsu-Bako (Japanese puzzle box) – Available Now! 1. The article must be used mainly in everyday life. 2. The article must be primarily manufactured by hand. 3. The article must be manufactured using traditional techniques. 4. The materials should be mainly those that have been traditionally employed. 5. The industry must be of a regional nature. 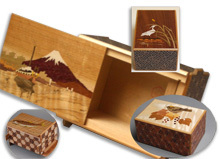 Japanese Personal Secret Boxes（Himitsu-Bako） use the ‘sun’ system to describe the size of a traditional puzzle box. “Sun” is a traditional Japanese unit of measure to denote length. 1 Sun is about 30.3 mm or about 1.22 inches. 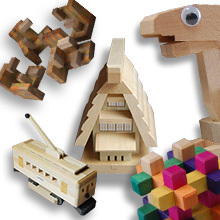 This system is used to describe the approximate size of Hakone Puzzle Boxes. Note that the sun system does not describe the width or height, or the size of the inside compartment. 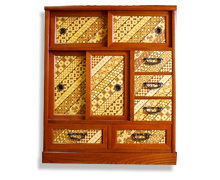 Puzzle boxes that have pictures on their tops and bottoms are referred to as Zougan puzzle boxes. 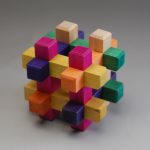 The pictures are made from different pieces of wood of different colors fitted together perfectly into a block. The block is then sliced into very thin sheets to produce the Zougan picture overlay that is applied to the box. 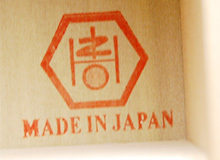 This is a very The Izumiya Craft’s Workshop are producing some of the finest work available today.All new Izumiya boxes are marked with the mark at the left. 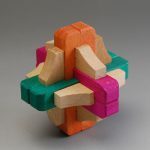 Zougan puzzle box – Available Now! 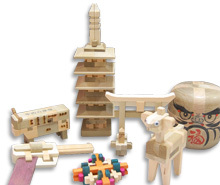 Kumiki is a Japanese word that means “to join wood together.” In Japan, the word kumiki refers to several different varieties of wood craft. 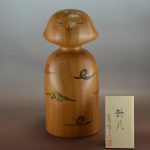 ※Karakuri tansu(Trick Chest) is a traditional Japanese craft which has been rediscovered in modern times. 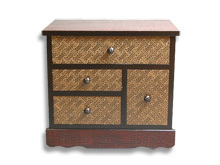 The chest of drawers might look like ordinary Japanese furniture. However, you will be astonished to see what it can do. Put something inside the drawer. Once you close the drawer, the item will disappear as if by magic. It has a trick drawer that turns 180 degrees around, too! The purpose of both tricks is security, to keep valuables safe. Nevertheless, you still feel the touch of Japanese beauty. Trick Chest – Available Now! 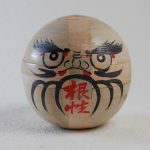 Making MUKU Yosegi-Zaiku is using solid wood. 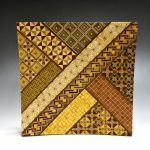 The craftsmen combind different colors to make beautiful patterns. has been increasingly well reputed in foreign countries. 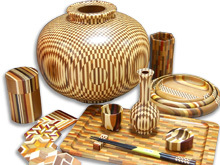 Making best use of natural fine grains and textures of wood makes the mosaic work. Timbers of different colors are cut into oblong rods of desired sections. The rods are then glued together to form the section of geometrical pattern designed. To add to glaze and sturdiness of the surface, finish coatings are applied. As the surface is finished in lacquer coating, it is rather free from stain. Just dust and polish with soft and dry cloth. 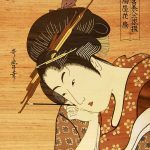 Yosegi Zaiku – Available Now!